Chinese search engine Baidu.com announced that is plans to make a USD306 million investment in Qunar.com, a Chinese travel search engine. The investment will make Baidu the majority shareholder of Qunar, which offers Chinese consumers real-time searches for air and rail tickets, hotels, and tour packages. The parties currently expect that the transaction will close in the third quarter of 2011. After the investment, Qunar will continue to operate as an independent company, while both companies will cooperate in certain areas of online travel search. Baidu plans to finance the investment through obtaining a third-party loan facility. Though Qunar.com is venture-backed by GSR Ventures, Mayfield Fund, Tenaya Capital and GGV Capital, the company has had legal and branding battles in recent years. Qunar.com competes with Quna.com, a Chinese travel search website that bears a similar brand, URL name, website feel, and online e-commerce travel services. Guangzhou-based Quna.com announced in late 2009 that it briefed a lawyer to file a trademark opposition application against Qunar.com. According to Quna.com at the time, on June 6, 2003, it registered the domain name "Quna.com", which is the Chinese Pinyin of the word "where". However, Qunar.com was reportedly registered on May 9, 2005, which is two years later that Quna.com. 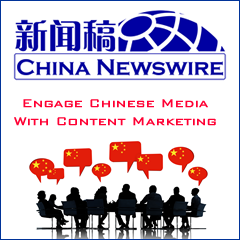 Under Article 31 of Trademark Law of China, entities should not attempt to use prior registration to preempt the use of a domain name that has been in regular use, stated Quna.com. No further word from either company has been heard as to whether that case went forward. In 2009, Qunar.com lost a court case in Beijing to China leading online travel website, Ctrip.com. In April 2008, Ctrip.com reportedly found that Qunar.com was copying and scraping commented articles from Ctrip.com in its hotel area. The case was heard by Haidian People's Court of Beijing on November 12, 2008, and the court subsequently announced its decision that Qunar.com's activity had constituted an infringing behavior and Qunar.com should make an apology posted for 24 hours on the front page of its website and pay the relevant notarization fees and litigation costs. 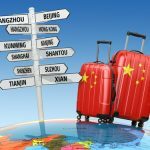 With China’s Travel Sector Possibly Depressed, What Will Qunar.com Do With Investment Money?